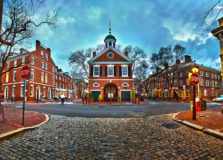 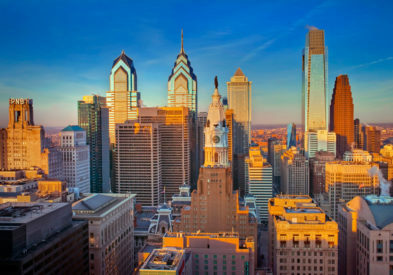 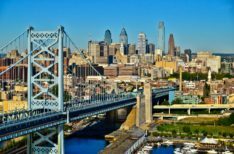 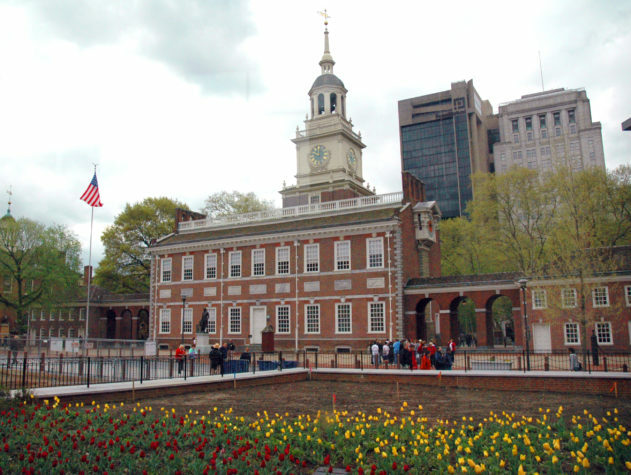 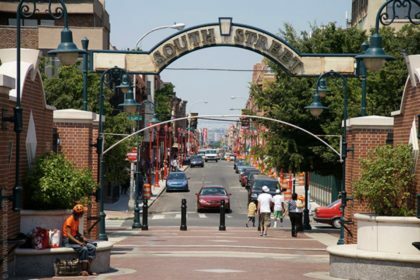 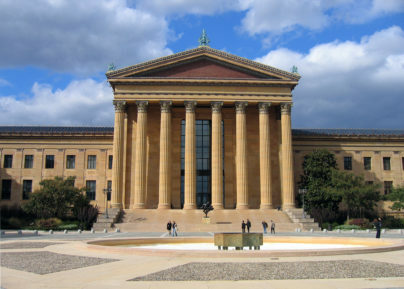 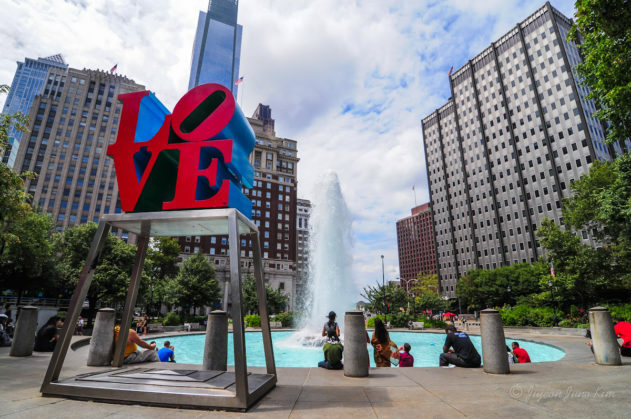 Philadelphia is one of the oldest cities in the United States, this rich in history city was founded in 1682 by the Quaker William Penn and in which, between the late eighteenth century and early nineteenth, “Declaration of Independence” and “constitution” were drafted. 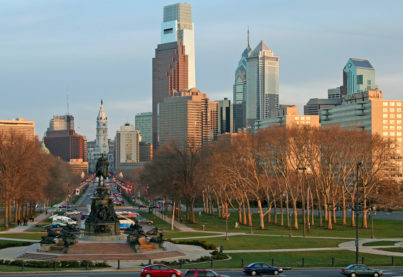 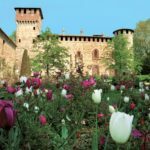 The charming old town, located between the west bank of the Delaware River and its tributary Schuylkill, is rich in monuments and buildings; they significantly reminiscent this glorious past. 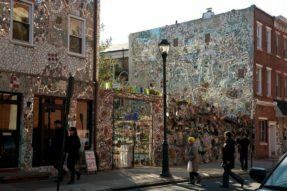 Like all big cities in the US, Philadelphia has skyscrapers but if you simply move to the punk district in the south/west area, you find yourself in the amazing South Street where the facades of the buildings are covered with spectacular and extravagant mosaics made of different types of materials. 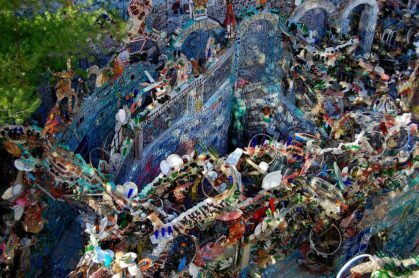 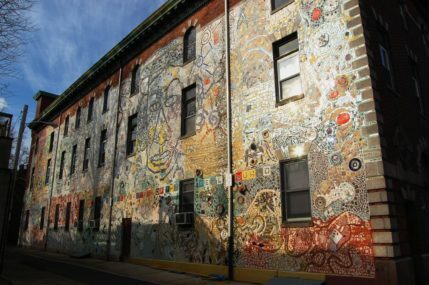 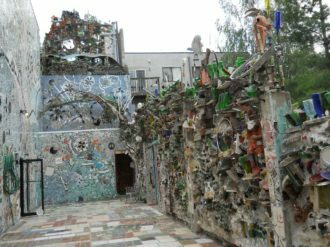 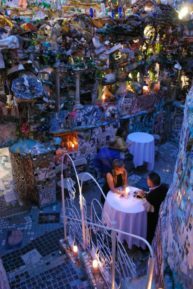 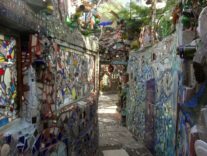 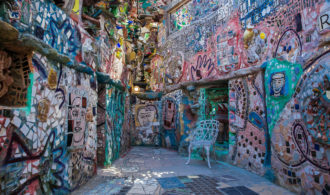 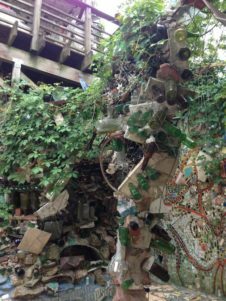 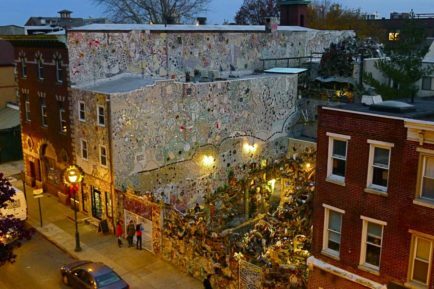 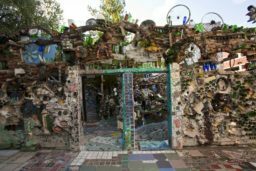 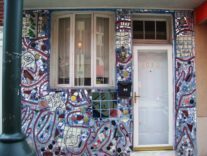 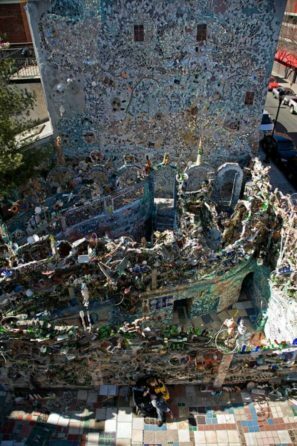 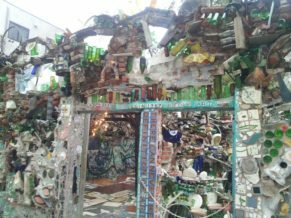 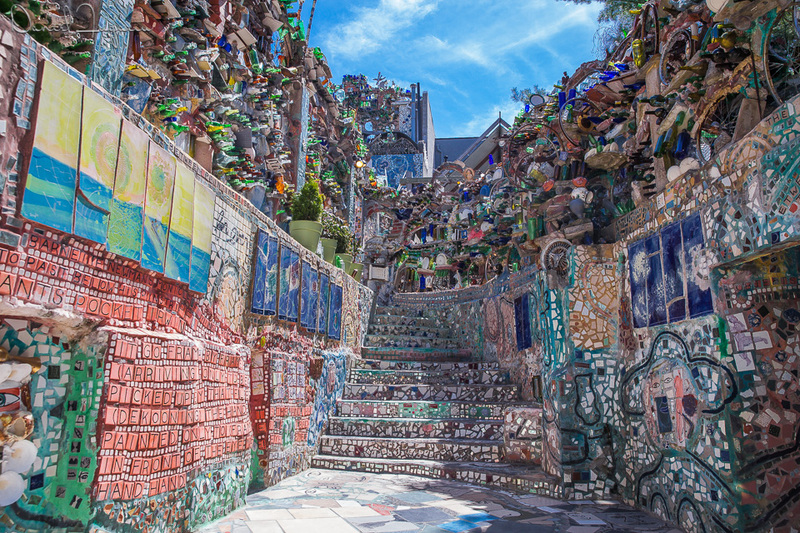 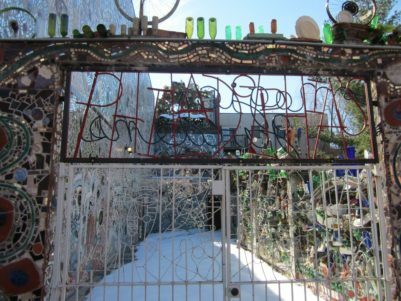 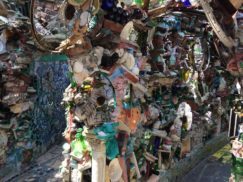 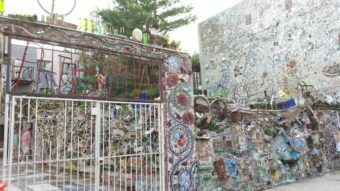 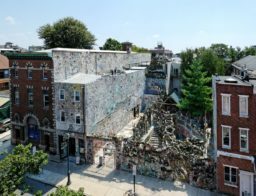 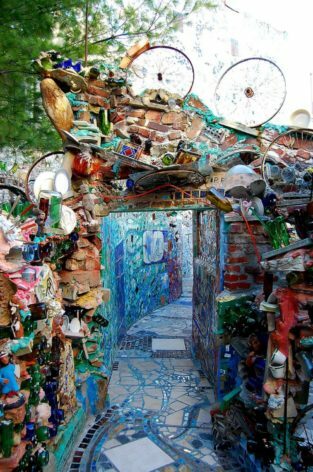 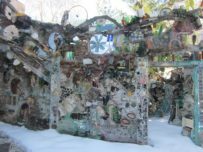 These multicolored buildings, made of ceramic, glass or other material, enchant and intrigue the tourists, asking around to residents and shopkeepers they always receive a single answer: Isaiah Zagar. 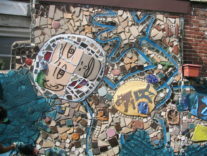 Isaiah Zagar born in 1939 in Philadelphia and he spent his youth in New York; then after three years in Peru during which he collaborated with local artists cultivating his innate creativity, he came back in the 60s in his hometown starting a brilliant work: the decoration of South Street’s buildings. 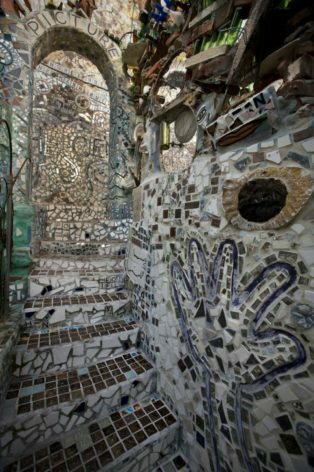 The “Magic Gardens” are considered his most important work; they are a complex of buildings and two plots of abandoned land bordering with his property. 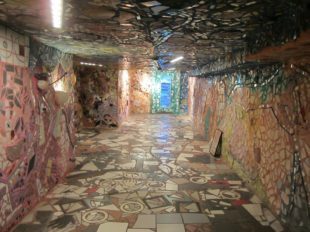 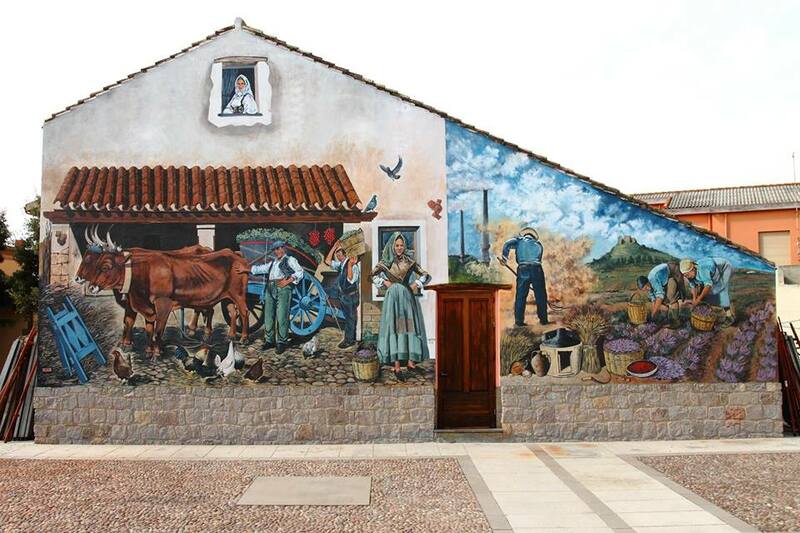 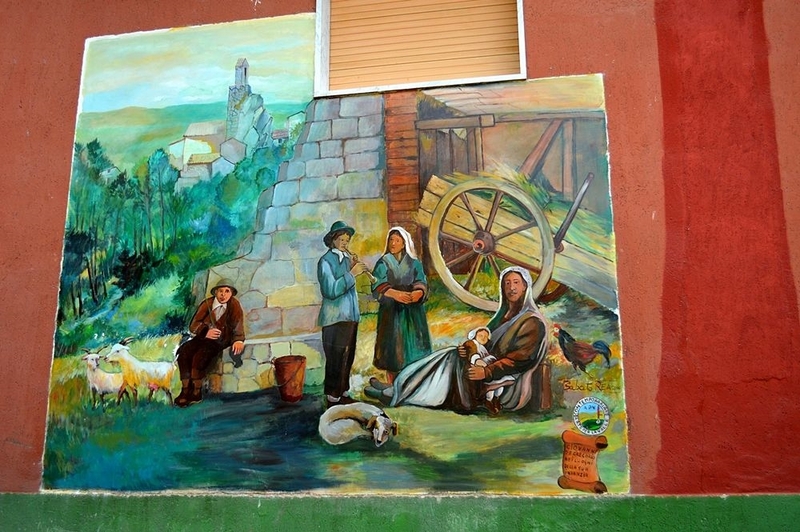 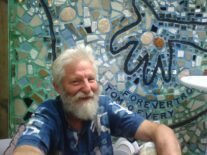 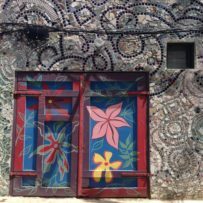 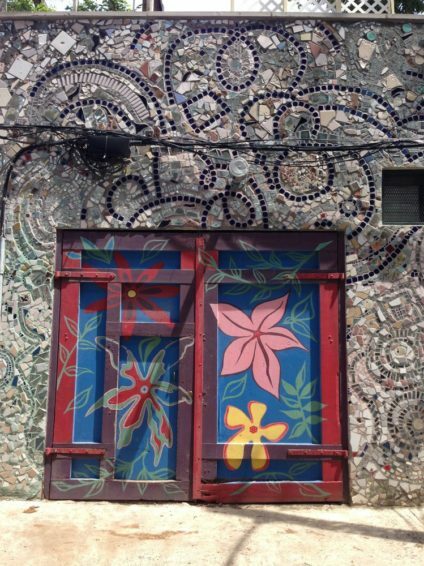 In 1994 Isaiah decided to fence the area with some beautiful mosaics and he devoted himself for about 14 years to “regenerate” them, creating tunnels and walls entirely decorated with works made of recycled materials. 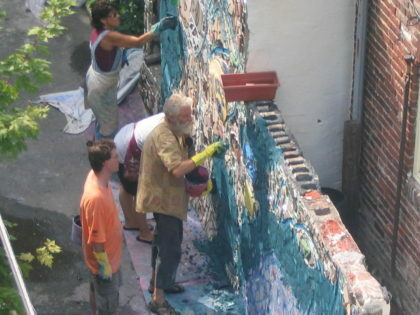 In 2002 the rightful owner of the area threatened Isaiah to destroy all the works if the artist had not bought the property for $ 300,000= so the artist started a fundraiser that gave excellent results. 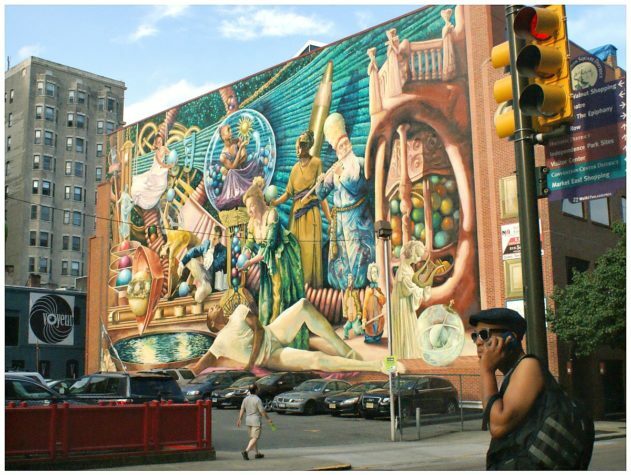 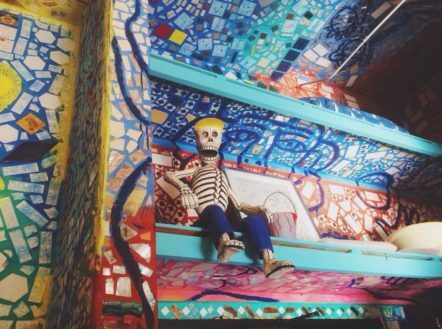 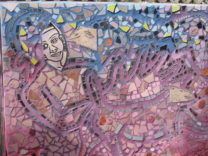 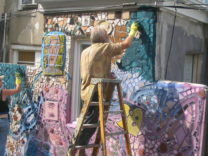 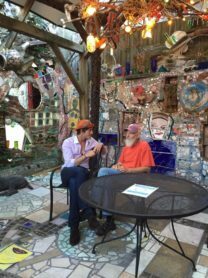 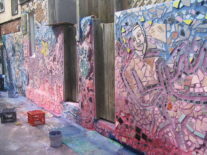 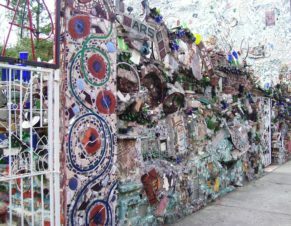 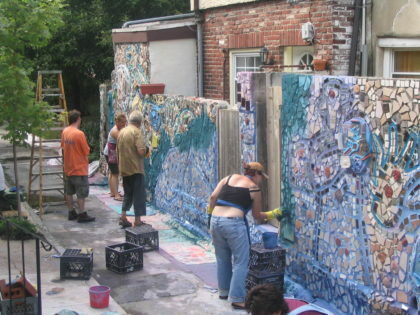 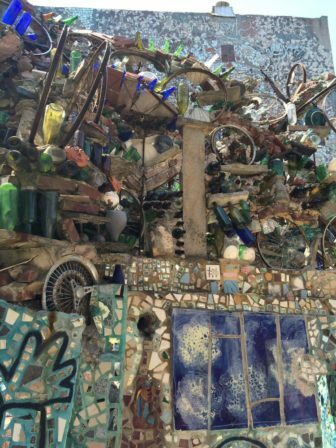 “Philadelphia’s Magic Gardens” Foundation was born and it bought that area of about 3,000 mq2. 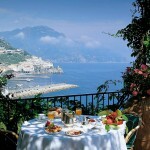 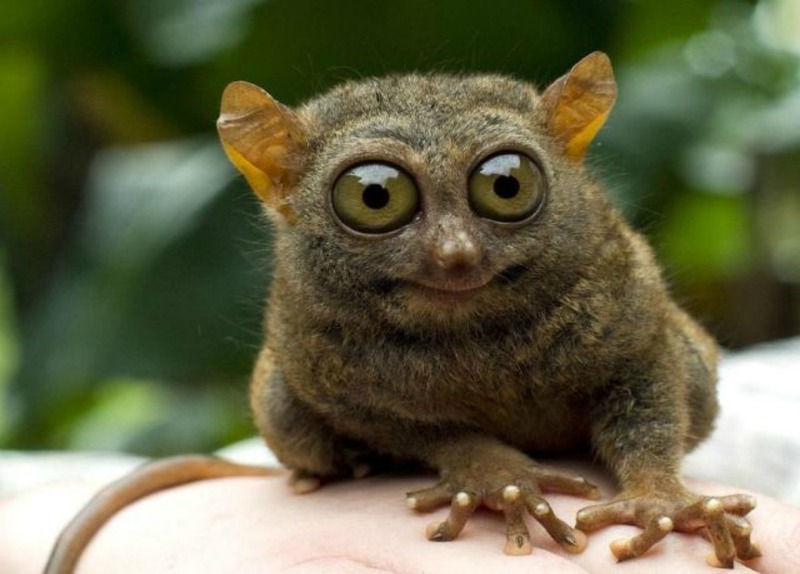 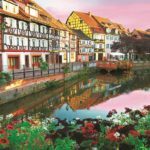 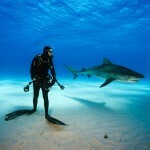 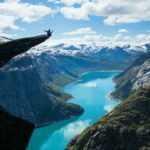 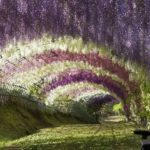 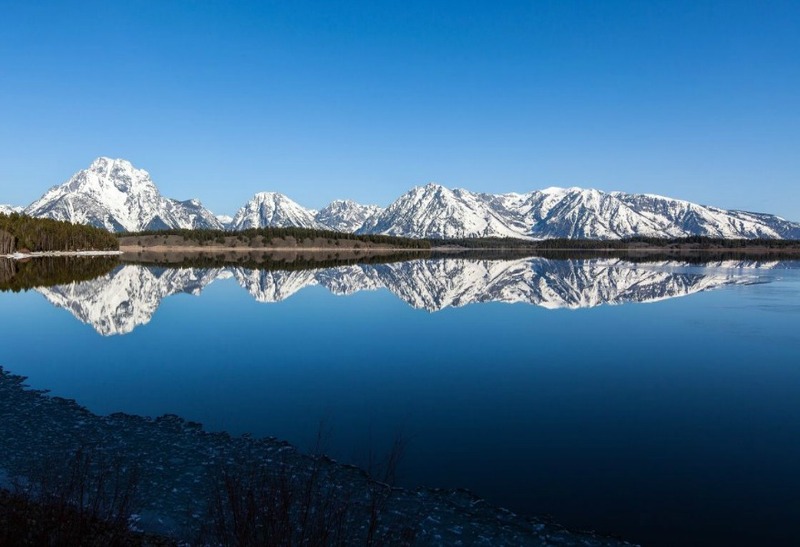 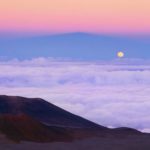 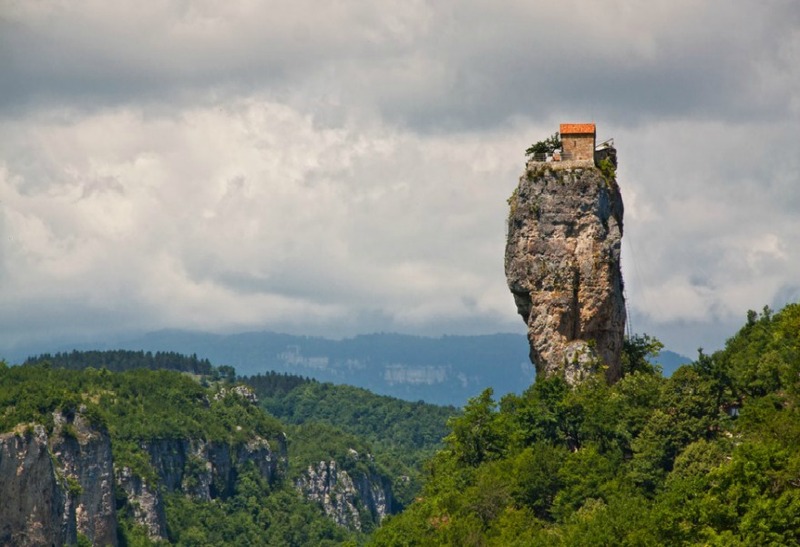 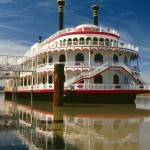 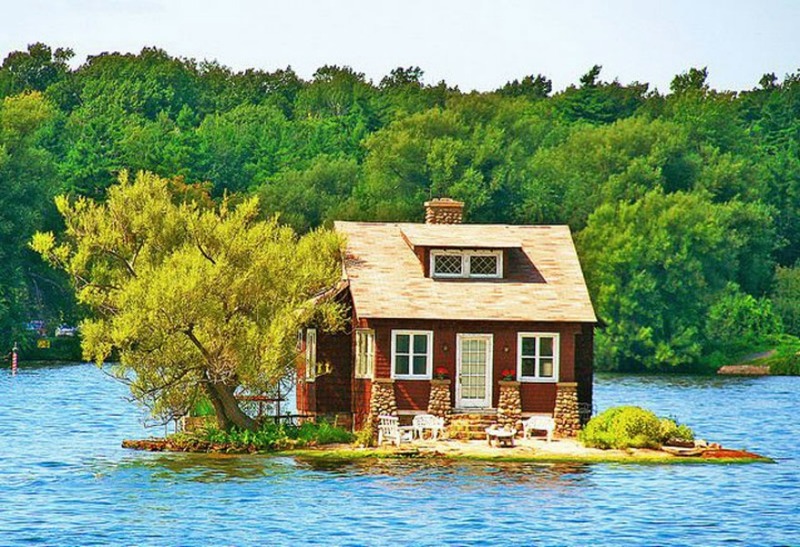 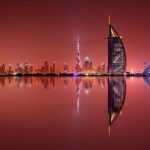 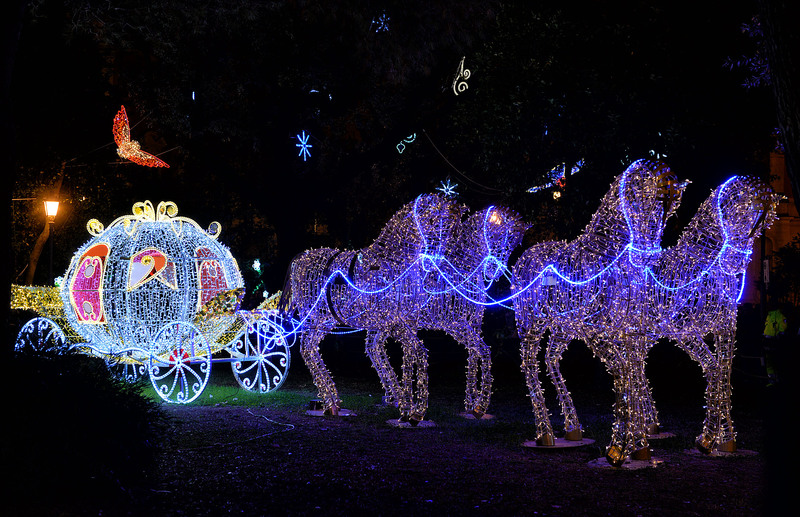 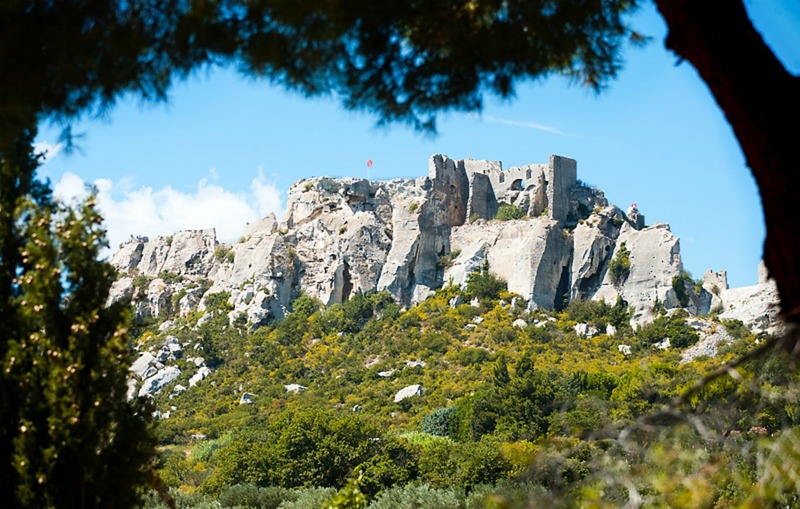 Today it manages and preserves this sort of fairy-tale world because it can be visited throughout the year. 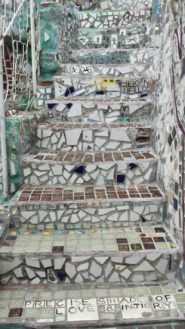 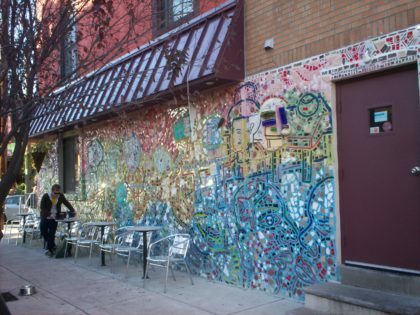 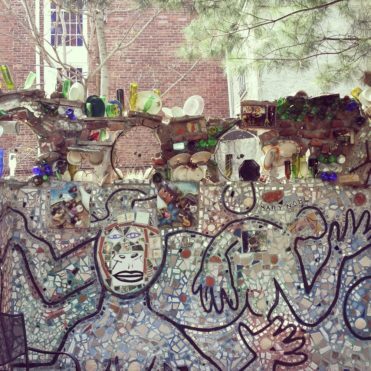 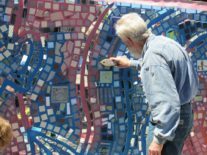 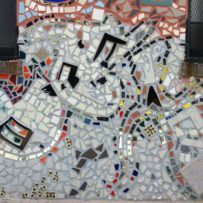 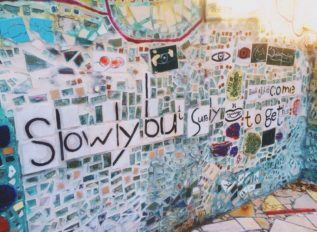 Finally, if you are taking a walk at South Street, it’s possible to meet Isaiah Zagar which still continues its phantasmagoric work of building decoration!